Little Mix were taken aback when an avid fan managed to dodge security guards and rip open their car door. The girl band were leaving a gig in Dundee when the middle-aged men barged into the car asking them for an autograph for his son. 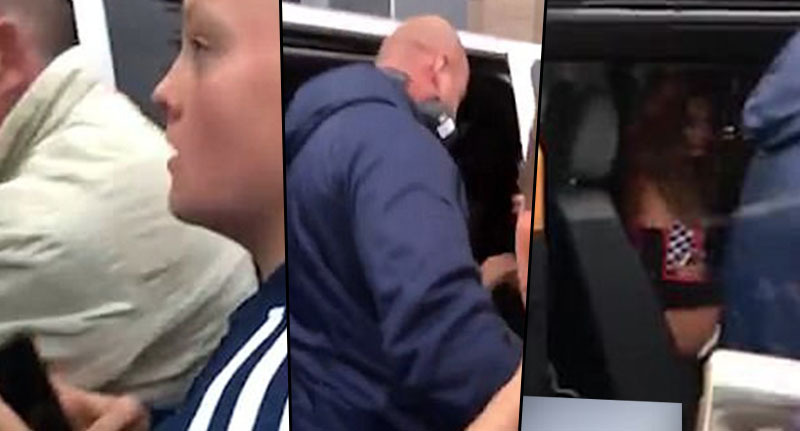 Video footage shows the man grabbing the door handle and sliding it open before throwing himself into the car with Perrie Edwards, Jade Thirlwall, Jesy Nelson and Leigh-Anne Pinnock, handing them a pen and paper. It was funny to see the guy’s cheeky spirit and he was only after an autograph. But in today’s climate and with security supposed to be being stepped up, it was a shambles that someone could get so close to them and then even into their car before being challenged. I’m sure the girls were panicked when the door flew open, but thankfully it was a only a well-meaning fan,’ it was continued. The security guard can be seen panicking to shut the door before having firm words with the man.